“It’s never bad to make an All-Star team,” Colin Walsh told me yesterday. No. It certainly is not. The humility is evident – he’s not even entirely comfortable talking about it. But, there’s no denying the grin as he spoke of how special the season has been, including some hard-earned honors. Like being named a Midwest League All-Star, both at the midseason break, and again at the end of the year, for example. The 22-year-old is in his second full season with the Quad Cities River Bandits, after spending about a month with the club in his first year as a professional. Perhaps it’s the comfort level of knowing his surroundings; perhaps it’s the hours he’s put in on and off the field; and perhaps it’s the opportunity to play every day under first-year Bandits manager Luis Aguayo that has propelled him to an MVP-caliber season. Whatever the case, something clicked. Something big. In 92 games, Walsh is hitting .316 with 18 doubles, 5 triples, and 16 home runs. Even after missing nearly six weeks with an injury, he still leads the team in on-base percentage (.419) and slugging (.543). Last season, (in his first full year with the club) he hit just .239. Now, when you’ve played the game since age three, it may be hard to pick out the one thing that made such a difference. Then again, maybe you can pin it down to an exact moment. That’s not the only moment that changed the course of Walsh’s baseball career, though. In fact, the career in-and-of itself could have just as easily never happened. It sure wasn’t on Colin’s radar until his freshman year at Stanford. At least, not until he saw what was possible. In two years, that was him – another experience he’ll not likely forget. So began the process of learning the professional game, one detail at a time. While the current season has been superior for Walsh individually, last season afforded him the opportunity to play for a championship – and to do so in style. 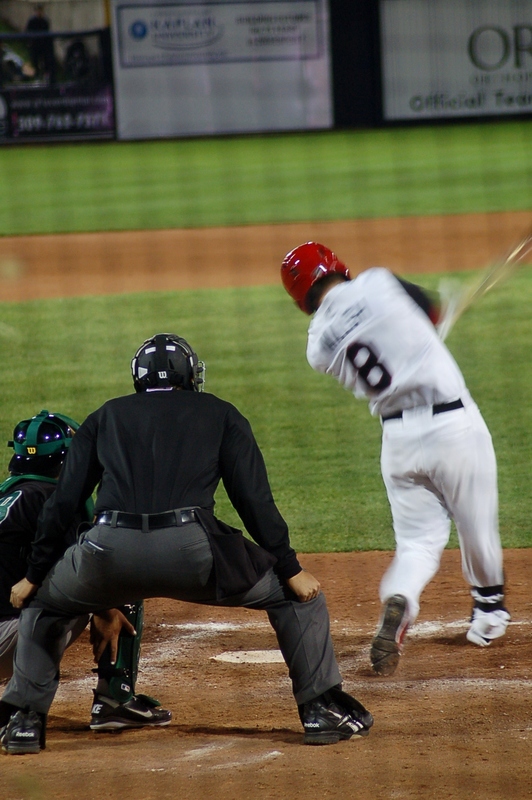 The 2011 River Bandits took the playoffs by storm, winning the first Midwest League title since 1990. “That team was together mostly the whole year, so we had a really good chemistry,” Walsh said. But, the 2012 squad came with its share of changes, including manager Luis Aguayo. Walsh, for one, welcomed the change. The respect between the two is mutual. Aguayo is thrilled with the progress Walsh has made, and called him a sure MVP candidate, if it wasn’t for the six-week absence. Still, the league honors – the All-Star nods, and Player of the Month nominations – were, according to Aguayo, well deserved. And the honors just keep coming. 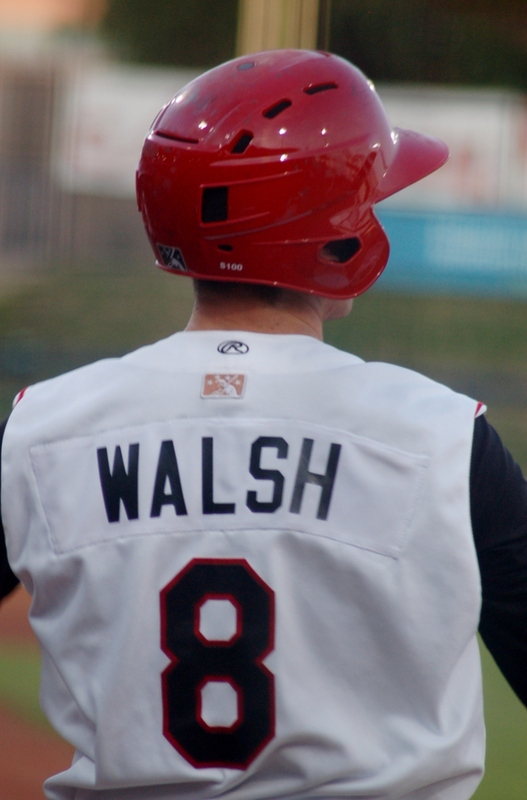 It was announced this week that Walsh will be joining Cardinal prospects Kolten Wong, Seth Blair, Sam Freeman, Kevin Siegrist, Boone Whiting, Cody Stanley, and Mike O’Neill in the Arizona Fall League this off season – another exciting step in the process that is a direct result of hard work. Using the off season to move closer to the Majors? That’s never a bad thing, either.